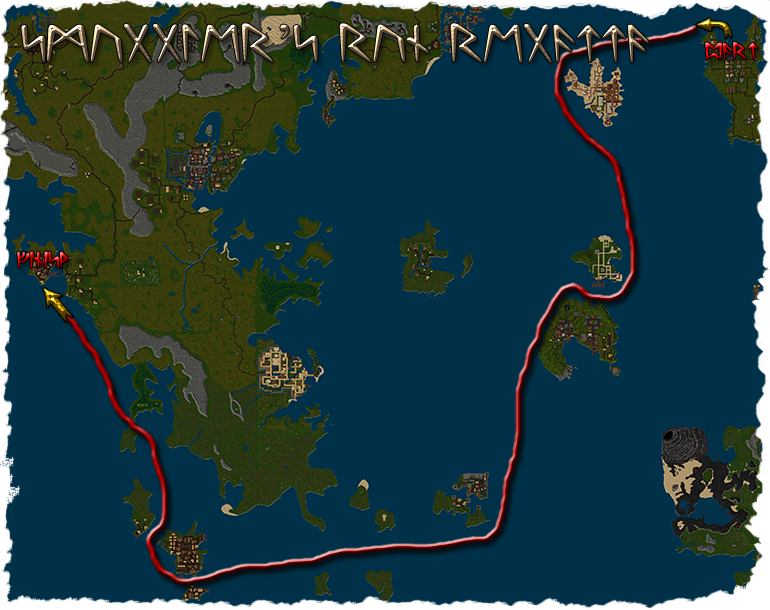 The governors of Britain, Jhelom, Minoc, Moonglow, New Magincia, Skara Brae, Trinsic, Vesper and Yew have come together in conjunction with the High Council of Britannia present the Fifth Annual Smuggler's Run Regatta. Ships will retrace the historic pirate's course between Verity Isle, New Magincia, the Valorian Isles and Skara Brae. To allow for ease of maneuvering, all registered vessels will be given staggered starts. The goal is to accurately navigate the regatta course in the least amount of time. All captains must preregister at least 5 minutes before the regatta to allow for scheduling and passengers. All participants must pilot a High Seas Vessel. All ships must cary an official race passenger during the length of the course. 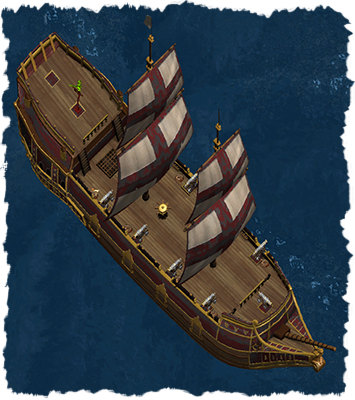 Passengers should be given a boat rune for the duration of the course. All vessels must pass through each checkpoint in order. Starting at the dock on the north side of Moonglow, vessels will head west of Verity Isle to the northern shores of Nujel'm. From there, the course loops around the western edge of the island nation, heading for the eastern shore of the Maginician Isle. 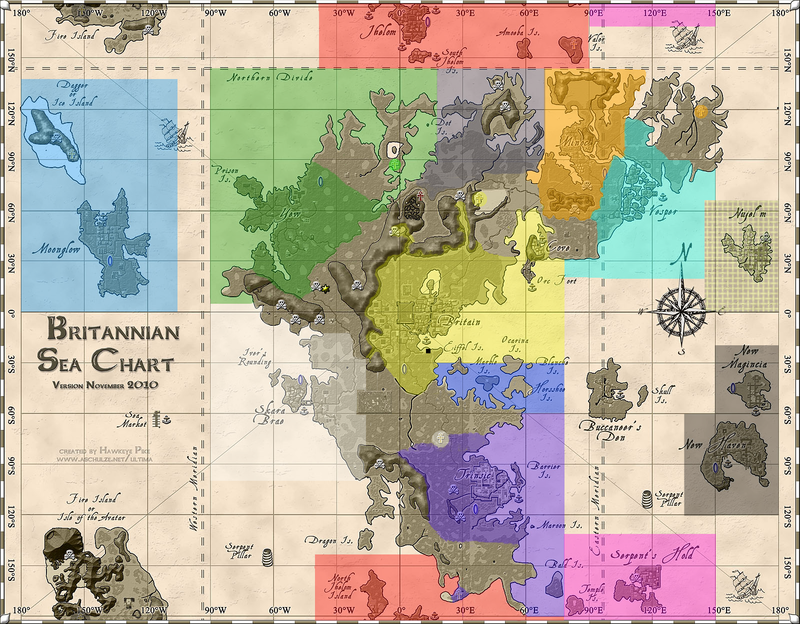 There, the course threads west between Magincia and Haven isles before hugging Haven's coastline southwest towards Serpent's Hold. Vessels then sail around the southern side of the island fortress and make a dash towards the central Valorian Isle - Jhelom. Vessels are to navigate between the central and southern isles before heading northwards to sail between the central and northern isle. The course continues north along the eastern shore of Dragon Isle before heading west towards Bordermarch. The final leg of the journey follows the western shore of the continent to the northwest, ending at the small dock outside Superior Ships in southern Skara Brae.